Are you tired of fiddling with your earbuds when storing them and taking them out of your pocket? 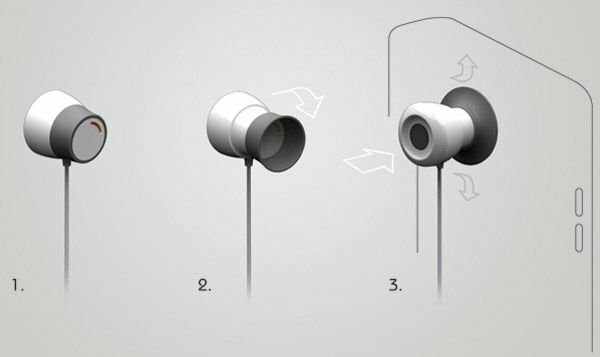 The Octopus Earbuds are fitted with suction cups that will adhere to your screen when they’re stowed. The suction cups on the earbuds are inspired by the ones you’d find on an octopus’ tentacles. The flexible silicone flap on the front of each bud will become an impromptu suction cup when flipped forward. They were designed to keep the wires of your earphones from always being tangled up, but really don’t do anything to address the cable itself – but sticking the earbuds in place should help keep things from getting too messy.